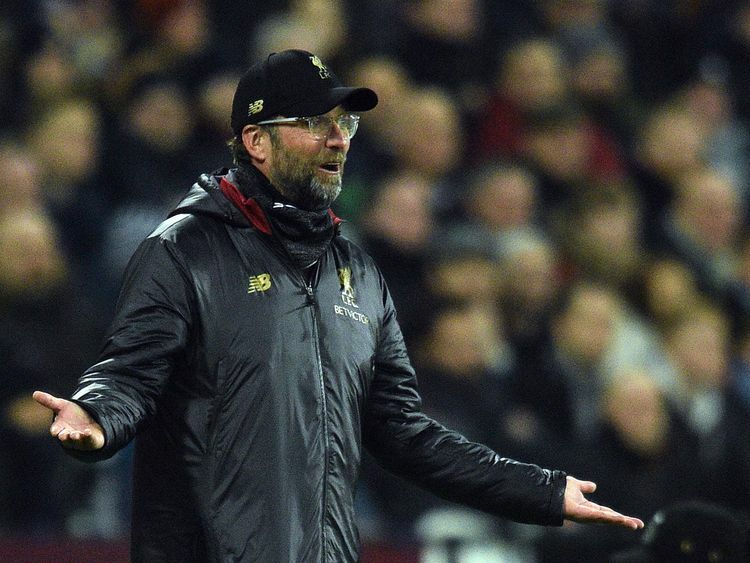 London: Liverpool wasted another chance to extend their lead at the top of the Premier League as a sub-par performance from Jurgen Klopp’s men was punished in a 1-1 draw at West Ham on Monday. Sadio Mane put the visitors in front at the London Stadium, but Michail Antonio quickly levelled and West Ham had the better chances to claim all three points when Declan Rice and Mark Noble failed to hit the target. Klopp’s side looked like a side playing under pressure in a lacklustre display as the absence of the injured Jordan Henderson, Georginio Wijnaldum and Trent Alexander-Arnold took its toll. Even without the injured Marko Arnautovic, Pellegrini got the response he wanted in West Ham’s performance if not their end product. Javier Hernandez had the hosts’ first chance but the Mexican and then Aaron Cresswell both fired inches wide of Alisson Becker’s left-hand post. James Milner was having a torrid time defending in an unfamiliar right-back role against the pace and trickery of Felipe Anderson. However, the former England midfielder created the opening goal in controversial circumstances when given the chance to go forward. Adam Lallana’s neat footwork played in Milner, who was allowed to continue despite being clearly in an offside position, and Mane cleverly spun onto his cross to score his 12th goal of the season. The lead lasted just six minutes as the visitors switched off from a well-worked free-kick and Antonio drilled Anderson’s pass in off the far post. Mohamed Salah was kept quiet for long spells, but the league’s top scorer twice forced Lukasz Fabianski into action at the start of the second period. On both occasions, though, the Egyptian lacked the power and accuracy to beat the Pole as he worked shooting opportunities onto his favoured left foot. This time, though, Origi shot meekly into Fabiankski’s grateful arms with the final action of the match.